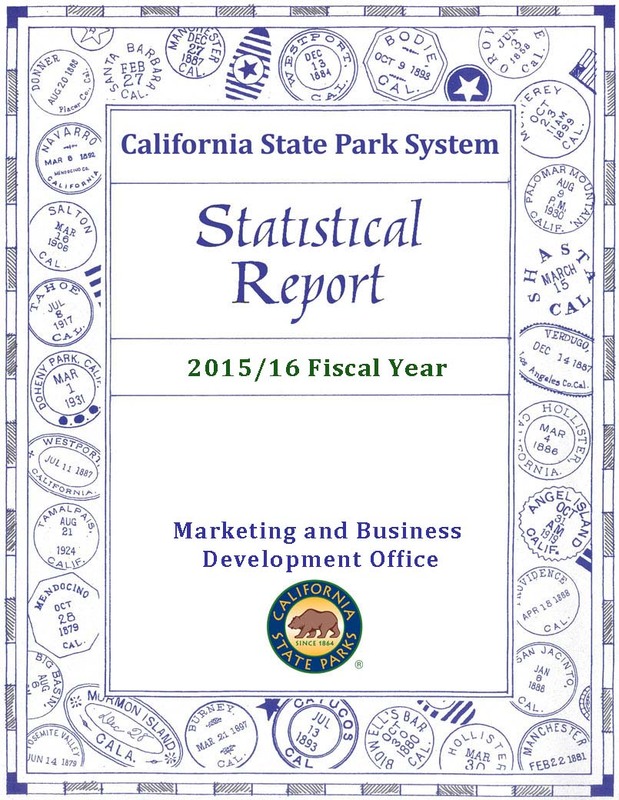 Each year the Department publishes California State Park System Statistical Report, which contains data that collectively describe and measure the California State Park System. This data covers the most recent fiscal year, July 1 through June 30. This annual report provides information on the system as it existed and was operated during that 12-month period. Among this data are the identity of the system's official set of classified units and major unclassified properties, their acreage, their visitor attendance, the number of selected visitor use facilities, the revenues generated by the system, the system's operating costs, and levels of staffing used to maintain the system. In addition, as of the 2014-15 Statistical Report, the publication now includes Park Unit Costing information, which offers an increased level of fiscal information that allows for a greater understanding of how the Departmental funding is allocated amongst the various state park units in support of the State Park's System. Each annual document reports on the set of units and properties which were in the system at the beginning of the fiscal year, July 1. In the lengthy and extensive table containing this information, each annual edition arranges these units and properties as they were actually managed in the field, organized by district and sector, as of the end of the fiscal year, June 30. Data on the use and activity which took place at these units and properties during the fiscal year reflects the entire 365-day fiscal year. This complies with the Department’s record-keeping convention, by which units and properties which entered the system during any given fiscal year are not officially added to the system’s roster, or to any departmental report reflecting the system as a whole, until the beginning of the following fiscal year. These annual statistical reports provide information "of record" for the State Park System. Each edition provides a year-by-year, point-in-time measurement (a "snapshot") of the system’s scope and scale. Collectively, these reports provide information useful in tracing the growth and development of the State Park System over time. These reports are the source of such data for various uses by departmental staff and by others. They will be useful as input for policy formulation, research and analysis, and as general information for those organizations and individuals interested in the system.